Amidst growing doubts and apprehensions regarding so many institutions like the CBI, Enforcement Directorate and the Comptroller and the Auditor-General of India, the Election Commission of India still enjoys good measure of the confidence of the people. It is hoped the ECI lives up to its reputation in the coming general election to be held under the new system of EVMs with VVPAT across the country for the first time. The Election Commission of India has always maintained that its EVMs cannot be tampered with. Although the EVMs used by the ECI have a simple design that avoids many of the problems found in other direct-recording electronic voting machines, they are still vulnerable to a wide range of attacks. EVMs with VVPAT, however, meet two of the three pillars ~ transparency and verifiability ~ of electoral integrity. If totaliser machines are also incorporated in the EVM system, secrecy of votes can be achieved. Booth-wise counting of EVMs does not allow mixing of votes, as in the case of paper ballots which ensured secrecy. 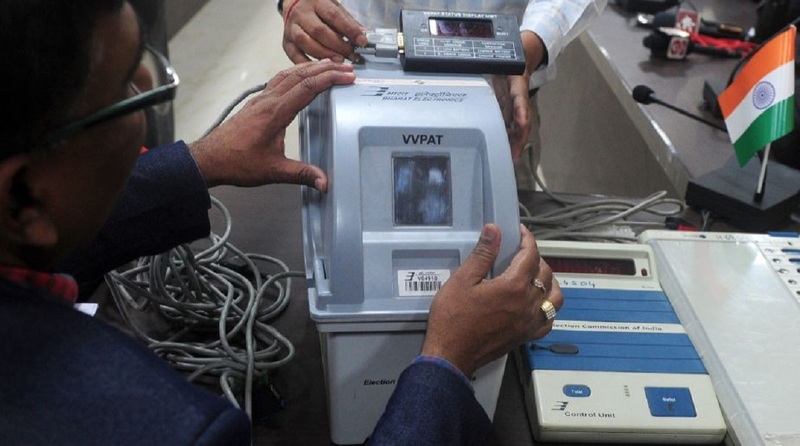 Although the EC has accepted the Supreme Court mandate and said that all EVMs used in the coming Lok Sabha election will have VVPAT, it has directed the chief electoral officers in all States and the Union Territories to mandatorily verify the VVPAT paper slips in only one randomly selected polling station in each constituency. This is too small a sample and defeats the very purpose of having the paper trails. The Supreme Court order said in no uncertain terms that “the paper trail is an indispensable requirement” for free and fair elections. Without counting the paper slips in a significant percentage of polling stations in each constituency and crosschecking it with the EVM count before declaring the result, the objective of introducing VVPAT mandatorily will be defeated. The EC’s excuse that counting of paper slips is time-consuming and therefore it should be dispensed with is not acceptable to the conscientious voters and defeats the very purpose for which VVPAT has been incorporated in the EVMs. The EC takes at least three months preparing for an election. When it comes to counting of votes, it wants to complete it in a jiffy. Nothing will be lost if it takes a day or two to complete the counting process. A delegation of Opposition leaders recently called on the Election Commission at Nirvachan Sadan in New Delhi to express concerns about possibilities of EVMs being tampered with and to ensure 50 per cent of paper slips are counted and compared with the votes counted by the EVMs before declaring the results of the Lok Sabha election. 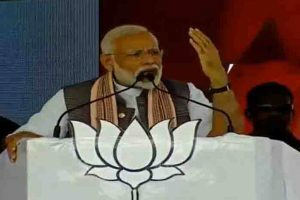 They also drew attention of the Election Commissioners to numerous instances of EVMs and strong rooms becoming vulnerable to attacks and manipulation. Added to this were instances of power outages, failure of CCTV cameras in the strong rooms and detection of signals of wireless/mobile networks of a particular telecom operator in the vicinity of polling centres. Except for promising the leaders to “deliberate” on the issues raised, the EC failed to give an assurance to count adequate number of VVPAT paper slips to the satisfaction of the contesting candidates. The vulnerability of EVMs has been known to the Election Commission since 2000, yet successive CECs have been stating in public that these machines are tamper-proof. Sanjay Sarma, a professor of Massachusetts Institute of Technology, demonstrated before CEC MS Gill in 2000 how unsafeguarded the chips in EVMs were. In 2004, the Supreme Court First Bench of CJ VN Khare and Justices Babu and Kapadia directed the EC to consider the technical flaws in EVMs pointed out by Prof Satinath Choudhary, a USAbased software engineer, on his public interest litigation. The EC ignored the Supreme Court order. On 3 September 2009, Hari Prasad and VV Rao of Hyderabad demonstrated in Nirvachan Sadan before an Election Commissioner and Prof V Indiresan, head of EC’s committee of experts, hacking of one of its EVMs. Half-way through the demonstration, the EC aborted the demonstration. The entire proceedings were videoed. The EC refused to part with a copy of the video. Subsequestly, Hari Prasad borrowed an EVM from an obliging EC official and demonstrated hacking in a live television show. According to Alex Halderman, Prof of Computer Science at Michigan University and an expert on security of voting systems who was present at the Chennai conference, the most deadly way to hack Indian EVMs is by inserting a chip with Trojan inside the display section of the control unit. This requires access to the EVM for just two minutes. Bypassing completely all inbuilt securities, this chip would manipulate the results and give out “fixed” results on the EVM screen. BEL and ECIL, the EVM manufacturers, have shared “top secret” EVM software programmes with two foreign companies, Microchip of the USA and Renesas of Japan to copy it onto micro controllers used in EVMs. This process should have been done in-house securely. When the foreign companies deliver micro controllers fused with software code to the EVM manufacturers, they cannot “read back” the contents as they are locked. Even if these foreign companies had to be selected, the chips could have been imported and the object code fused under the supervision of India and control of the technical group of the ECI. If the masked chips are replaced with others made by the same manufacturers or similar product with tampered software, the chances of detection are almost nil. SY Quraishi, former CEC, in his book An Undocumented Wonder, The Making of the Great Indian Election” says, “Elections in India generate both wonder and interest globally. Polls have been held at regular intervals in the country since Independence and on an unprecedented scale, surmounting the massive challenges posed by the geography of the land and the mind-boggling diversity of the Indian populace.” Often termed as the biggest management event of the world, Gopalkrishna Gandhi, in the foreword to this book, says succinctly, “India is valued the world over for a great many things, but for three over others: the Taj Mahal, Mahatma Gandhi and India’s electoral democracy. The credit for the last of the three fames goes to the people of India. Amidst growing doubts and apprehensions regarding so many institutions like the CBI, Enforcement Directorate and the Comptroller and the Auditor- General of India, the ECI still enjoys good measure of the confidence of the people. It is hoped the ECI lives up to its reputation in the coming general election to be held under the new system of EVMs with VVPAT across the country for the first time.